Movie star Mickey Rooney asks Mr. Mooney for bank financing for his acting school. Lucy and Mooney are so impressed they both seek Rooney's training themselves. The three of them star in a take-off on silent movie comedies with Lucy impersonating Charlie Chaplin, Mickey as a "kid", Mooney as a store proprietor, and lots of crazy cops. Special Notes: The plot line of celebrities walking into Mooney's office is becoming tiring. 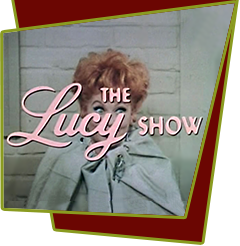 The Chaplin skit Lucy does with Rooney is reminiscent of the one done with Vivian Vance in episode #14, "Chris' New Year's Eve Party".